Click here to join us in a sermon series in the Old Testament book of Haggai. 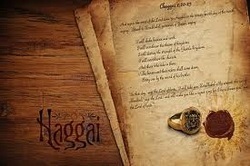 Audio recordings are unavailable for chapter 1 of Haggai. Contact the church for sermon notes and outline.